Building Codes and Standards is for anyone who needs to understand how codes and standards affect the construction, maintenance and alteration of buildings. This presentation deals with how codes and standards have evolved through the ages to provide for the health, welfare, and safety of the general public and how they continue to evolve today. Case studies will bring the words-on-paper to life, and model the path of analysis required in code interpretation. Design professionals should design in compliance with codes and standards. General contractors should build to conform to codes and standards. 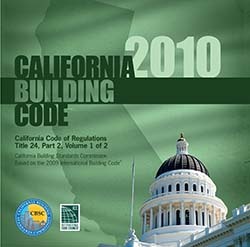 Building officials are entrusted to interpret and enforce codes and standards. Some deviations from codes and standards can place the general welfare of the public at risk and can expose the design professional and construction professional to legal liability. Others do not require such a strict reading. So there is a lot to talk about. Codes and standards today are more accessible than ever. They can be used in an effective quality control program that begins at project design, is reinforced in the contracting phase, and performance compared to standard can be verified during the course of construction. For more information or to have this presentation delivered to your company in-person, call us or email us at marketing@petefowler.com.